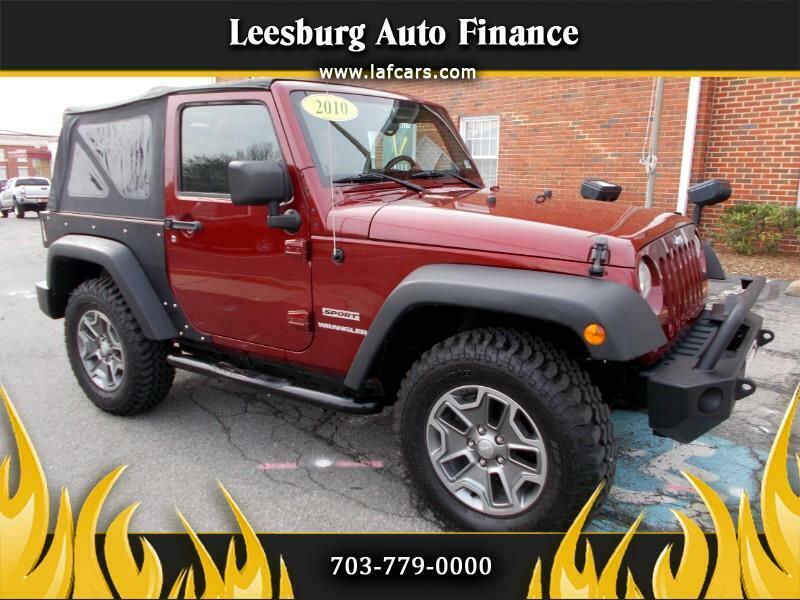 2010 Jeep Wrangler Sport 4WD- Auto Trans, Soft Top, Cold AC, All inspections. PLEASE READ CAREFULLY: This vehicle was involved in an accident in 2017 and subsequently fully repaired through the Virginia Repair Program. It comes with a Virginia 'Rebuilt Title" , NOT SALVAGE. Damage was sustained to the rear passenger side corner. Traded in on a a 4 door. MD inspection available. Limited financing available through some credit unions including USAA and Lightstream.com. Hundreds of repair vehicles sold throughout the Mid Atlantic.